The Humane Society of the United States recently announced the winners of the 2016 Genesis Awards, with recognition going to Aziz Ansari, Sen. Cory Booker, The View and USA Today, among others. While 2015 may well have been the year of the lion, with the story of Cecil’s illegal killing capturing worldwide media attention, one look at the 30th Genesis Awards winners will remind us of the many other urgent animal protection stories which inspired reporters, TV journalists and producers, documentary filmmakers and a stand-up comedian. This year’s winners helped to shine a spotlight on issues ranging from factory farming to the ivory and wildlife trades to shelter pet adoption, roadside zoos and exotic pets. Some of the winners are below, and a full list is available here. 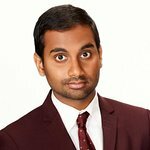 Aziz Ansari Live at Madison Square Garden – Factory farming rant – Parks and Recreation star Aziz Ansari’s blistering takedown of the factory farm industry will make anyone think twice about where their food comes from and how it was raised. The View (ABC) – For Mother’s Day, a poignant feature on “mommy” dogs abused and abandoned by breeders and puppy mills, and a celebration of senior dogs and why they make ideal therapy dogs. The All-Star Dog Rescue Celebration (FOX) – A dog adoption extravaganza, hosted by Kaley Cuoco, that manages to both entertain and inform its audience about every issue affecting man’s best friend. In appreciation of the Senator consistently communicating his personal concern for an array of animal issues to his 2 million dedicated followers on social media, via tweets such as this. RACING EXTINCTION – The Cove’s Oscar-winning director Louie Psihoyos’ dramatic chronicle of the heroic efforts of scientists and activists to save the world’s growing number of threatened species. Nightline Investigates: Eggs Exposed (ABC News) – A report on the daring undercover operation that revealed animal cruelty and human health hazards at a Costco egg supplier, prompting the retailer’s decision to go cage-free.